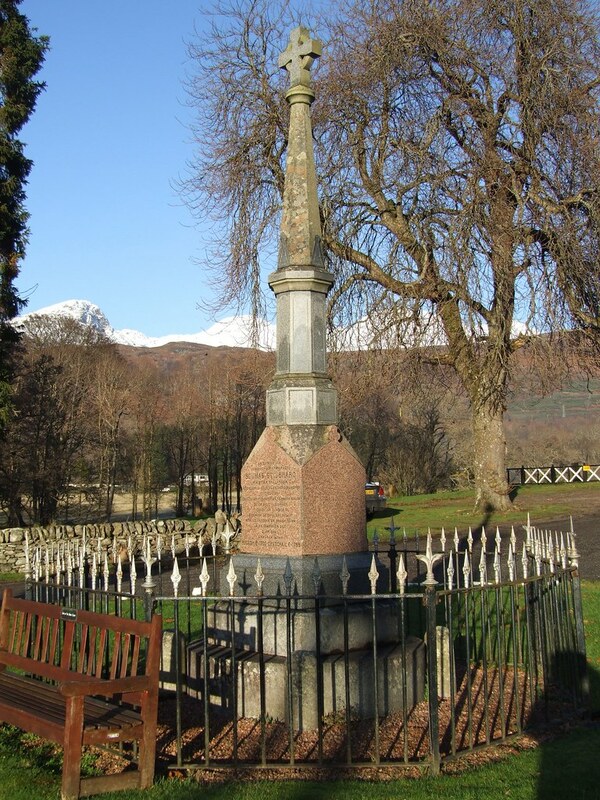 This late 19th century Celtic cross memorial was erected by the Gaelic Society of Perth. 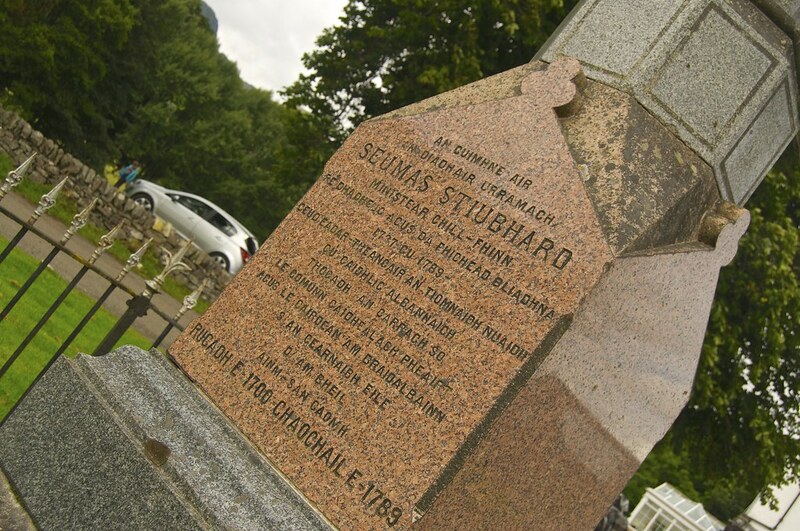 It is dedicated to the Reverend James Stewart who was the first translator of the New Testament into Scottish Gaelic and resided at the nearby house, now Invertay House. The inscription on the monument is mirrored and only differs in language. On the North facing side is English, on the South facing side is Gaelic. 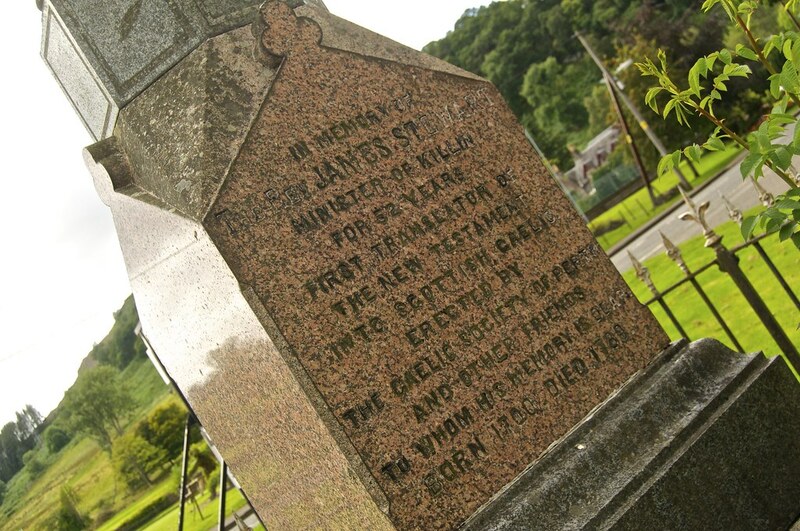 James Stewart was minister of Killin Parish Church from 1737-89 and, with his son John, was the principal translator of the Christian Bible into Gaelic. The translation of the New Testament was published in 1769 and the Old Testament was completed after his death. 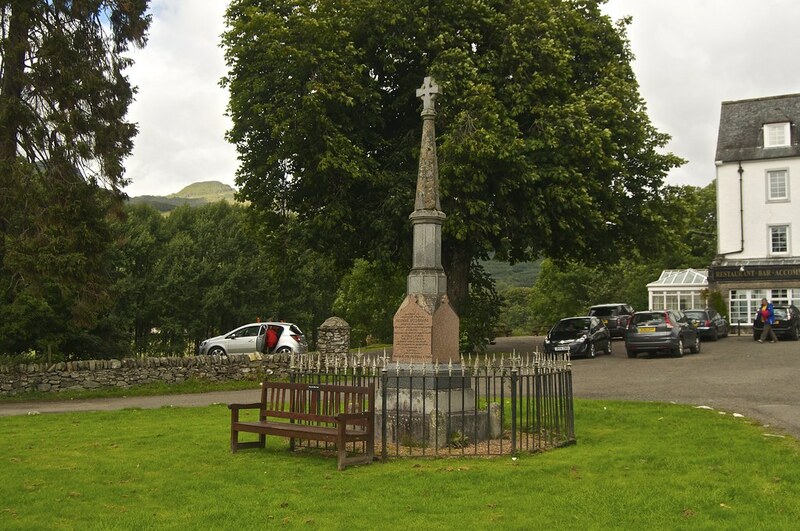 The book “In Famed Breadalbane” (written in 1938) notes that the monument was erected some 50 years previous (circa 1888).